OK, so I really don’t know how to give this introduction and I am really really bad at it. I would just say that I am starting with this blogging thing because I want to express my thoughts,feelings and emotions which are somewhere deep seated in me and don’t get a chance to come up. To say some things which can’t be expressed directly.I am simple girl who looks aloof in the crowd and I believe that I have something special in me and it’s not just within me it’s within you as well and we need to find it and give it a direction. I hope that I’ll able to give you all whatever I have. Although, I won’t be able to blog much as I am a medical student and time is big problem. Yes, I am not any writer and I won’t use those high class English words, simplicity is what I believe in and I assure you that what whatever I write it might not have classic and high words but it will definitely touch your heart and will astonish you. I assure you that you can relate with them and it will leave a impact on you. 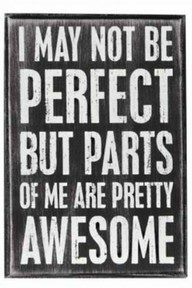 As nobody is perfect and I am also not and I don’t want to be either cause being perfect is like being in equilibrium and when you gain equilibrium their is no use of living .Everyday should be challenging and adventurous.And I guess being perfect is totally boring. If you feel that their is something missing or their a problem like spelling or grammatical or any other you are always welcome to complaint and compliment cause I believe that their is no age to learning and we should learn new things everyday. My soul honors your soul. I honor the place in you where the entire universe resides. I honor the light,love,truth. because it is also within me.In sharing these things we are united, we are the same, we are one. Atleast someone appreciated my initiative. Namaste 🙂 This is a beautiful about me for a beautiful girl. You seem like a person full of life and love… Who is living the best she can… Don’t mind, what is your name?? Nice to know there are people who think I am love.